Overnight camping on Corpus Christi Beach has been banned by the City Council there in an effort to reduce crime. Looking to go camping on the Gulf Coast in Corpus? Bummer alert: Corpus Christi City Council has instituted a curfew on Corpus Christi Beach between midnight and 5 p.m. The Corpus Christi Caller-Times reports the goal is to reduce criminal activity at the beach north of Harbor Bridge. The park and beach areas merge into an area with condominiums and houses, prompting complaints from residents who don't want people wandering around late at night, [Corpus Christi Police Cmdr. Mark] Schauer said. 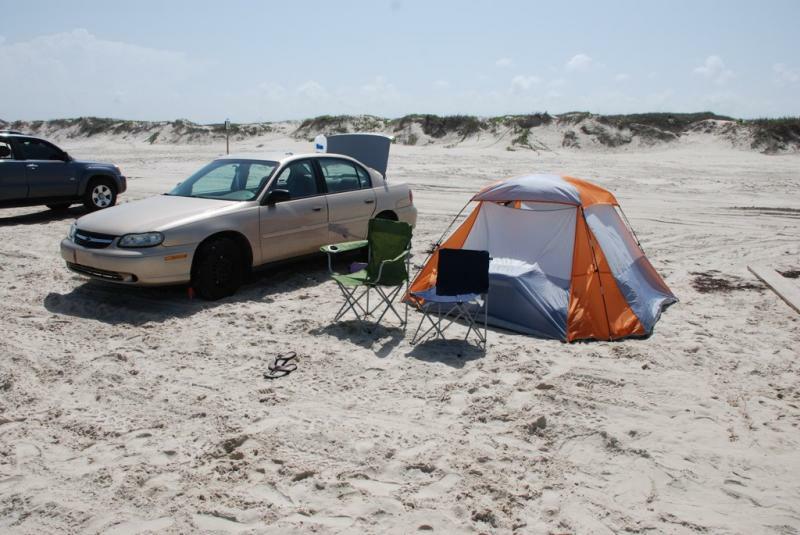 KUT News' resident beach expert Crystal Chavez (who grew up in Corpus) was surprised to hear the news because beach camping in Corpus is such a popular family activity. "It's the thing to do. You take your tent. Families do it, not just college students and kids," she said. "It's a pretty big deal. People do it for holidays. They do it for senior skip day. They do it just for the weekend, to get out of the city and go camping on the beach."